Taste disorders are common among older people and may have serious consequences on their health status: each of the five main flavors (salty, sweet, sour, bitter and umami) has a specific function and a declining taste acuity or taste loss predisposes the elderly to a higher risk of developing certain diseases. Taste disorders often go unrecognized or underestimated in elderly people, however, and there is little medical literature on this issue. This study focused on analyzing the existing literature, paying particular attention to the causes of taste disorders in the elderly and their potential consequences. The most common causes of taste disorders are drug use (21.7%), zinc deficiency (14.5%) and oral and systemic diseases (7.4% and 6.4%, respectively). All these factors can have a negative effect on gustatory system deficiencies due to physiological changes associated with aging. Elderly people are liable to have several chronic diseases and to routinely need multiple medications, and this carries a particular risk of taste disorders or severe loss of the ability to taste the five basic flavors. 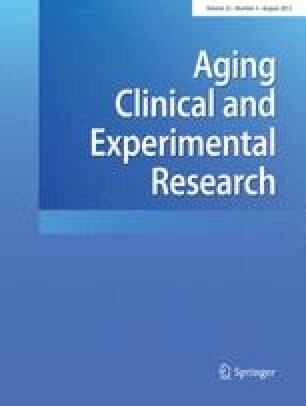 It is noteworthy that the most useful drugs for treating chronic diseases typical of the elderly are also a potential cause of taste disorders, so periodically reviewing pharmacological therapies is not just a matter of good clinical practice, but also helps to prevent or contain taste disorders. Assessing gustatory function should be a part of any comprehensive geriatric assessment, especially in elderly hospital outpatients or inpatients, or institutionalized cases, with severe conditions that require multiple pharmacological therapies, as well as in elderly patients who are malnourished or at risk of malnutrition, with a view to limiting the modifiable causes of taste disorders.